Metz Métropole is located in the heart of the European region Saar-Lor-Lux which includes a large catchment area of 1,6 million inhabitants within an hour. With the proximity of Luxembourg, customers have a high purchasing power. 2 230 retail outlets and 330 000 m2 of retail floor divided into 92 000 m2 associated with food and 238 000 m2 non food make up the commercial map of the Metz Métropole area. 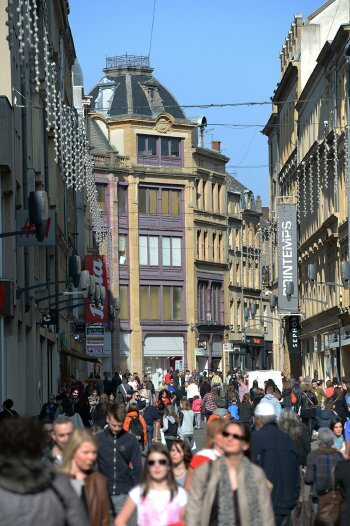 According to the 2015 PROCOS study carried out in Metz, the business vacancy is about 6,2% on the pedestrian plateau composed of 562 shops. It is below the 7,2% national average in cities of similar size, from 500 to 700 stores. In 2014, the figure published by LSA was 6,3% and was below the 7,2% national average. Therefore, the business vacancy in Metz is low, which proves the attractiveness of Metz.